Happy Canada Day everyone! Today is the day for Canadians to celebrate living in an amazing country. We are truly lucky to live in such a diverse, beautiful country with so much going for it. If you live in another country, do something Canadian today. Listen to some Canadian music, read some Canadian blogs, learn more about Canada or just reach out to your Canadian friends and wish them a Happy Canada Day. Here are some great Canadian bands to help you out: Nickelback, Three Days Grace, Guess Who, Rush, The Tragically Hip, Avril Lavigne, Justin Bieber, Sam Roberts, Metric, Arcade Fire, Bryan Adams, Neil Young, Sloan, Joni Mitchell, Blue Rodeo and Alanis Morissette. Or if movies are more your thing, watch something with any of these Canadian actors or actresses: Keanu Reeves, Jim Carrey, Ryan Gosling, Rachel McAdams, Mike Myers, Tommy Chong, Neve Campbell, Ryan Reynolds, Donald Sutherland, Brendan Fraser, Dan Akroyd, Pamela Anderson, Matthew Perry, John Candy, Joshua Jackson, Michael J. Fox, Leslie Nielsen, Tom Green and William Shatner. 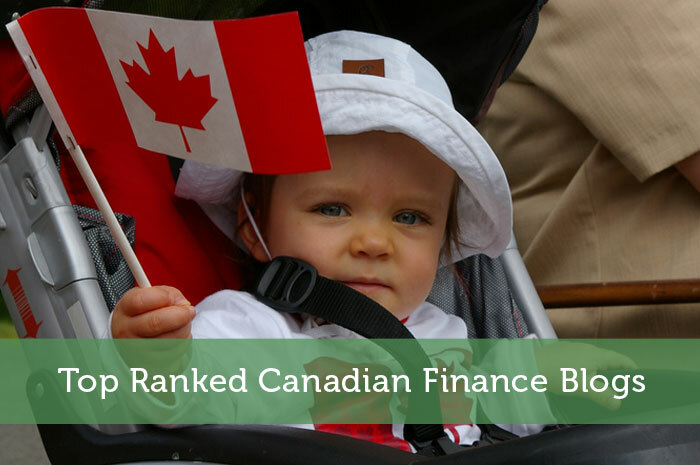 As for bloggers, back in August I hosted a poll of the top Canadian personal finance blogs and earlier this month the top Canadian investing blogs. I couldn’t agree more with the results!! Yes some great blogs definitely came out on top. I don’t know if they’re necessarily the very best since polls like this are more of a popularity contest. Still they’re all pretty great. Her earlier music was pretty good, but I can’t say I’ve listened to anything from her in ages. Thank you for the Canadian love from south of the border. so pleased and honoured to be an honourable mention on your top PF blog list. Even more excited to see Gail on there at #3. Without Gail there would be no Jolie and no Shaking the Money Tree. Thanks so much for bringing me a smile on Canada Day! Hope you have a great one. Congrats on getting so many votes Jolie! You got way more votes than me and I was the one hosting this poll. Nice to hear that your blogging inspiration was one of the winners too. Happy Canada Day! Thank you so much Jeremy for the honour! I’m glad to be in the company of such great bloggers! Just spend the entire day in the nation’s capital up on the hill. Great to see so many people celebrating Canada Day. The weather was fantastic! No problem Kanwal, but it was really your readers & followers who got you the honour. I simply announced who the people voted to win. That sounds like a pretty cool way to spend Canada Day. I’d love to see how big the celebration is in Ottawa. I should at least head over to Victoria one of these years. Congrats to the blogs that won. 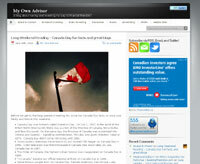 Always like to read new Canadian blogs! Yes it is nice to read blogs that don’t mention 401Ks, IRAs, private health care, etc. It’s often a little easier to relate to them. Of course that’s not to say that I don’t appreciate the blogs I read that aren’t written by Canadians. Congrats to the winning blogs! Congratulations to everyone who takes the time each and every day to blog, we are all winners for teaching, sharing and motivating. Thanks Jeremy for hosting this as I’ve met some amazing bloggers and read many new blogs that I had never heard of. 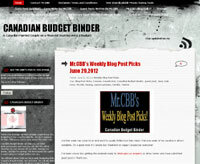 The fans who read Canadian Budget Binder I also want to take a moment and thank. Without them sharing and reading the blog there would be no blog. It’s all for the people! Bloggers should keep in mind the positive effect they are contributing to by sharing their knowledge and experiences. I learn so much about my neighbor to the north by reading PF blogs. I learned today that my daughter shares a birthday with Canada! Well, it might not be a “birthday” but a day to celebrate nonetheless. Happy Canada Day, my canuck friend! Thanks to everyone who voted and don’t forget, keep supporting Modest Money! Thanks Mark. I agree…keep supporting Modest Money lol. Happy Canada Day! Awesome, we finally got to see the results of that poll! Happy Canada day to everyone out there… I’m glad I got to learn a lot more about our northern friends since I’ve started blogging. You can also see the details of the polls on the specific pages too. Just checked and it looks like Modest Money finished #11 on the personal finance blogs poll. I guess I didn’t sneak in enough votes for myself or pressure you all enough lol. I’ve been learning a lot more about the US since I started blogging too. Well most Canadians probably know more about the US than Canada, but now I feel like I know so much more. I’ve learned more about Canada by reading PF blogs than I have throughout my entire life. While the blogs may not be “the best” I think these polls are an accurate reflection of things though. 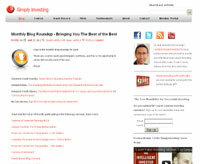 Typically the blogs with the most friends/visitors will get the most votes. So, it is a popularity contest but that also reveals if you’re “the best” or not. If you are the best you’d get the most traffic and therefore would likely get the most votes. That’s not surprising since most Americans know very little about Canada. I agree that such polls do at least gauge popularity which should reflect quality. It also shows whose readers are most supportive and passionate. The one downside is that some quality blogs just choose not to promote such a poll. So their numbers may not reflect how popular their blog actually is. Canadian bloggers kind of are the best, but I think ultimately we get held back a bit by not writing about the American specific topics like 401Ks and IRAs. There is just such a bigger market in the US. What an honour to be up against such an impressive list of bloggers and to rank in the top three with Canadian Budget Binder and Gail Vaz-Oxlade! 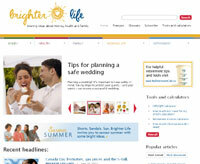 Thanks so very much to all those of you who supported Brighter Life. We hope you will continue to enjoy and share our daily posts and we look forward to continuing to connect with you on Brighter Life. Congrats on doing so well in the poll. It really was a tight race between you and CanadianBudgetBinder. Finishing 2nd is quite impressive though. It really shows that you have a great blog that readers connect with. OK I didn’t win, but I sure had fun trying! 🙂 Thanx for all the free promotion Jeremy – much appreciated. No problem Avrom. Hopefully everyone in these polls got some good extra promotion. I love supporting fellow Canadians….ok and my non-Canadian friends too. I guess I will have to honor them with some type of poll next.